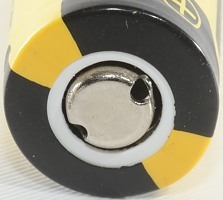 Protected 14500, the most outstanding feature is the low capacity. At first glance the curves looks fairly decent, but the curves ends to soon, the capacity is less than half the specified capacity. 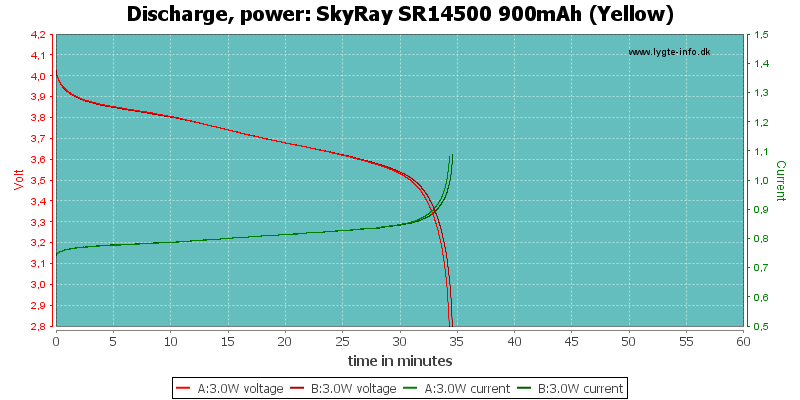 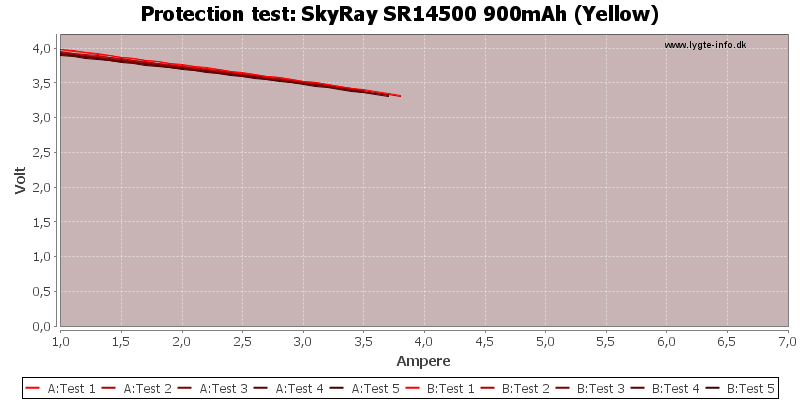 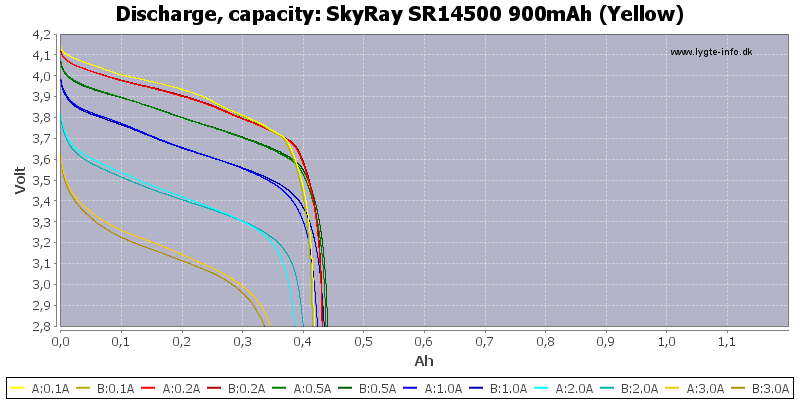 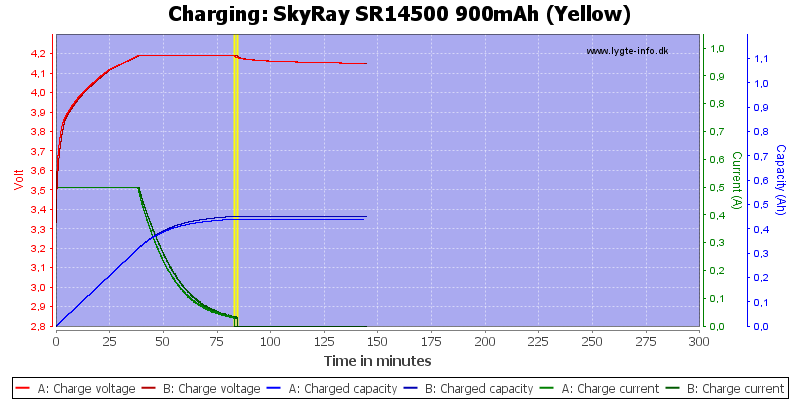 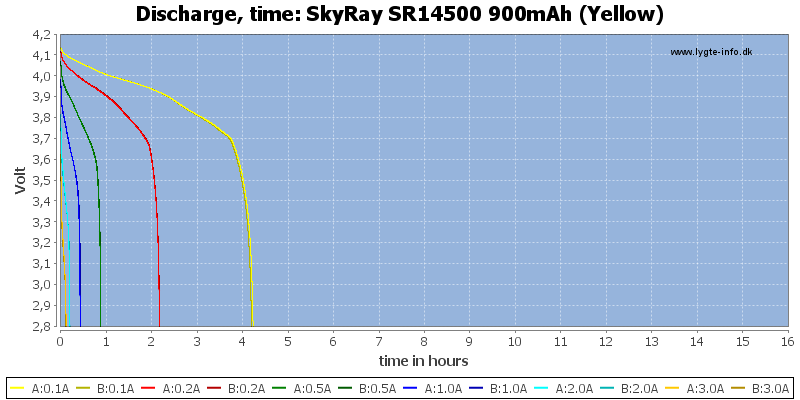 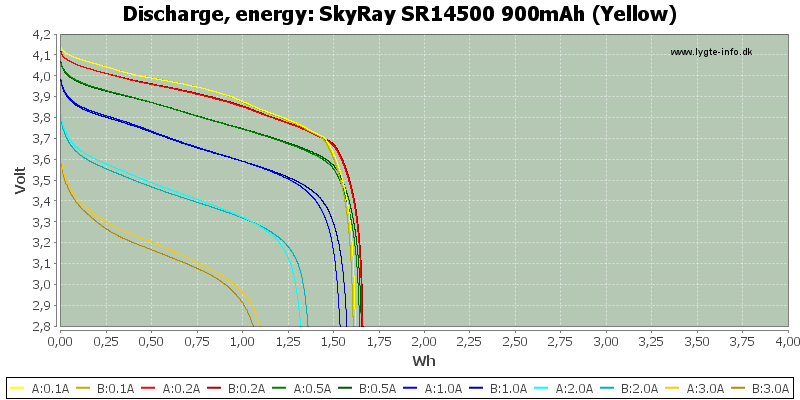 The discharge curves looks acceptable, but with less than half the stated capacity I will not recommend these cells. 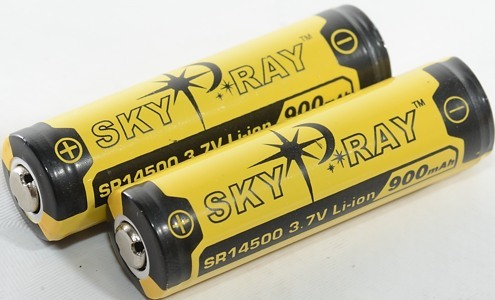 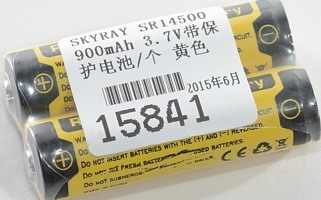 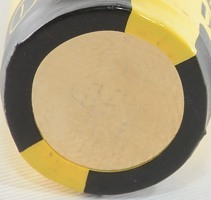 The batteries was supplied by tinywind for review.